Without a doubt FunFunFun Fest is my favorite centralized music festival. It's all of the best of SXSW without all of the walking, line-standing, planning, and corporate rim-jobs. It's like Austin City Limits Fest without all of the lawn chairs, babies, soccer-grandmas and Andy Langer-types. It's a place where crust-punks, indie-nerds, and candy-ravers can all let their body odors co-mingle while they eat Kebabalicious. 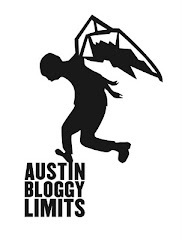 To me, it is the best representation of today's Austin music scene. It gathers bands from around the globe with all of their hard-to-place genres (sub-genres) and puts them on stages named for colors rather than corporations. One of my favorite things about the festival is the split stages. Rather than have to wander from stage to stage between sets, most of the stages are 2 in 1, which means there is little-to-no break time between sets on any stage. With all that being said, FFF7 has launched the first of their interactive elements this year. Head over to the Guess the Fest site now, login with your Facebook account and take 20 stabs at who you think will play this year's fest. They have some great prizes for the folks with the most correct guesses including PIP passes, and even round-trip tickets to this year's fest from any major U.S. city. I am not affiliated with the festival and I have no idea who will be booked but it's always exciting to guess. I'll post my guesses after the jump. For now enjoy this video from one of my wish-list bands, whom I SERIOUSLY doubt will be booked for FFF7 but perfectly embodies the spirit of the festival. Alright, so here are my guesses. Some of these artists, like Django Django and Team Me, I don't seriously think will get booked. Peaking Lights is a band that I don't really enjoy or "get" but I still think they are serious contenders for booking. All of the rest of my guesses are one part wish list and one part guess list. Who did you guess? Discounted early sale tickets will be released in a couple of weeks so stay tuned here, or the official FFF7 site.